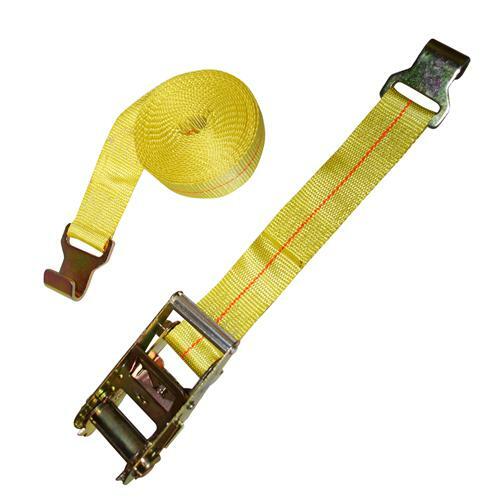 You can choose the length of this tie down strap, the color, and the ratchet type. These heavy duty ratchet straps with Narrow Flat Hooks are versatile and easy to use. They are used like a belt on your pants; attach each hook to a point and pull the webbing through the ratchet and crank to tighten. To loosen hold down on the ratchet release and pull the webbing in the opposite direction. They can be used in a variety of applications.